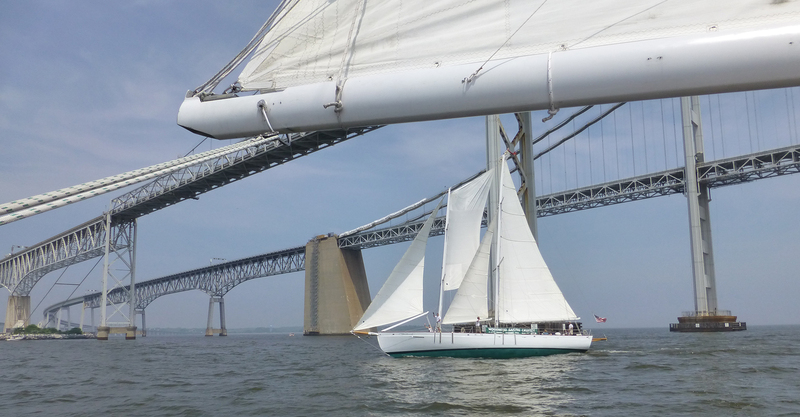 Sailing cruise departs from Annapolis, Maryland and sails into the Chesapeake Bay. 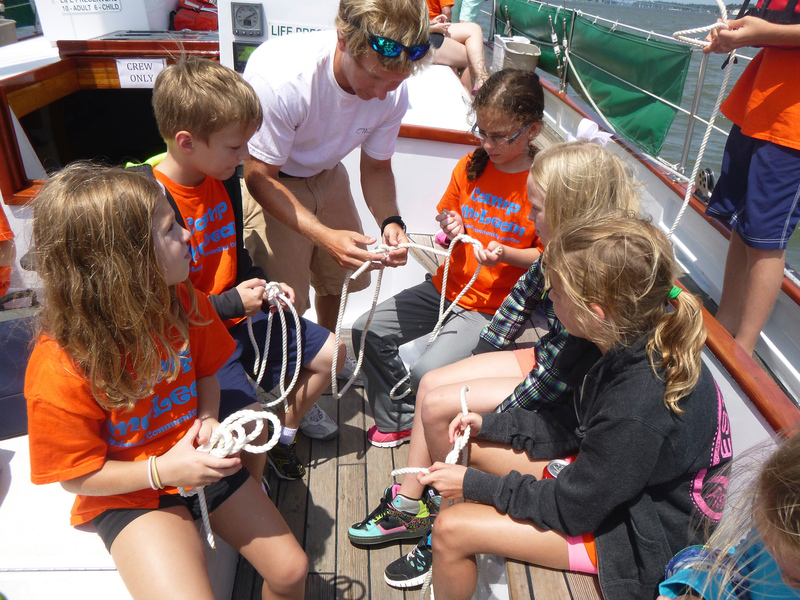 Goal: To educate a mixed age group using an interactive approach about sailing in a relaxed environment. We will group the girls into teams of similar ages. Depending on the interest level and knowledge of the girls aboard, we will continue to explore topics that spark their interest. 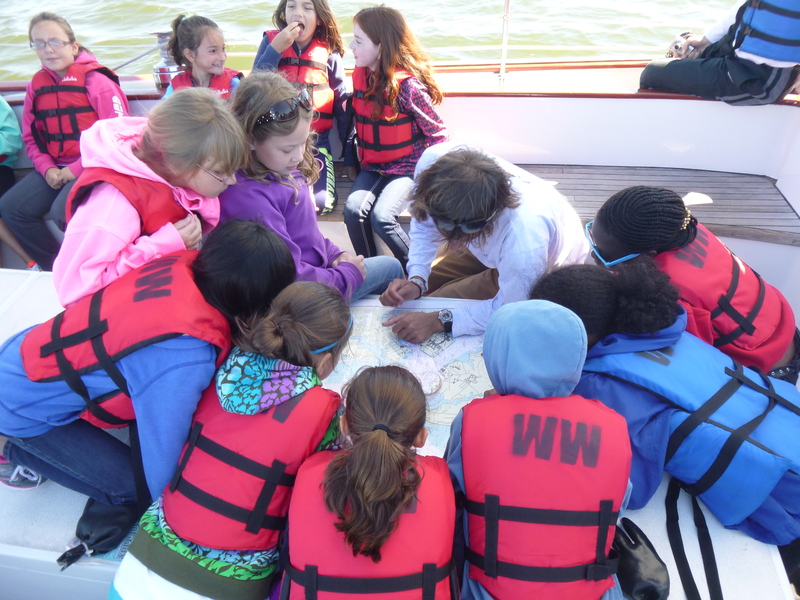 During your two-hour cruise aboard the Schooner Woodwind, we take a very interactive approach to educating the girls about sailing. The crew educates by asking questions. This enables our crew to find out the level of interest and knowledge in a fun and interactive way while dispersing fun facts to the scouts. When they get to the Captain, the captain will quiz them on their new found knowledge. 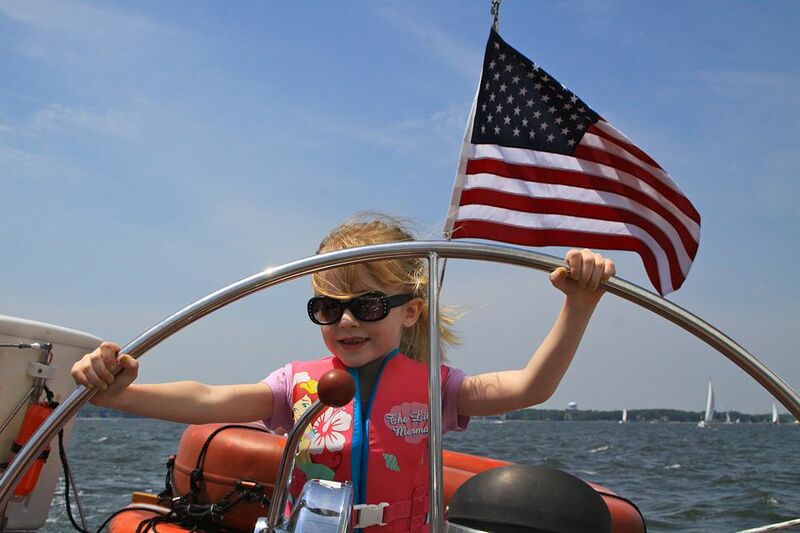 When a girl raises her hand and a correct answer is given, she will take a turn helming (steering) the boat. It is our intent to offer every girl a turn at the “helm”. Permission to Board: We will have the girls ask permission before they come aboard. We will tell them where to stow their belongings and what to expect aboard. Staying Afloat: We have one of the girls demonstrate to the whole boat how to correctly put on a life jacket and adjust it for their size. Hoist the Sails: The girls will have the chance to raise the sails (all four sails, weather permitting). Why does the boat “lean” from one side to another? What safety precautions do we have to think about? What are other types of sailboats called? Where does the water in the Chesapeake Bay come from? 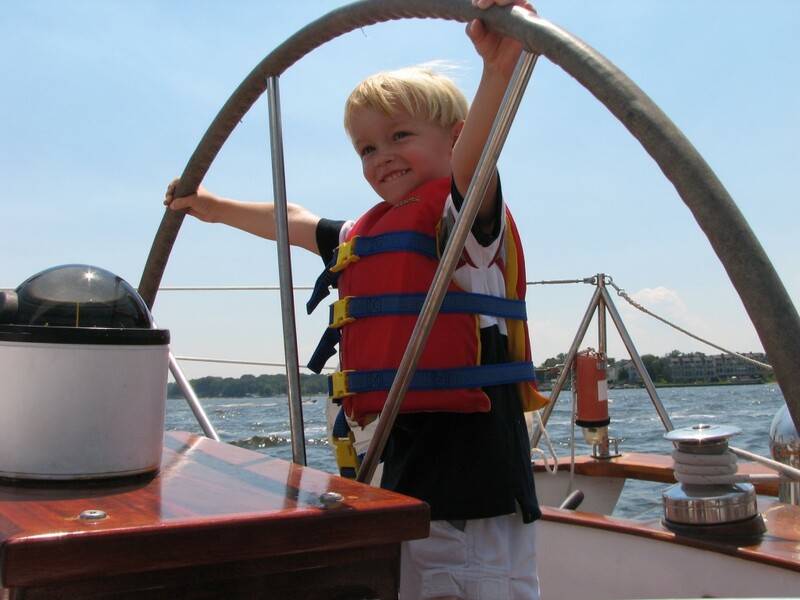 What other terms mean aboard a sailing vessel? Where did those names come from? Why is the bathroom called a head on board a boat? What lives in the water we are sailing in? Saturdays, Girl Scouts can only book earliest cruise time unless you have a group of 48 passengers (entire boat).